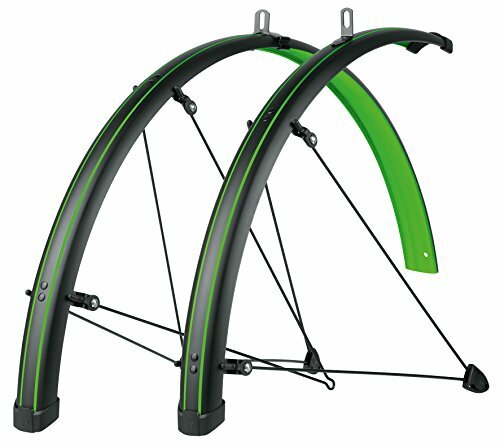 Save 1% on the SKS-Germany Stingray Fender Set Green 45Mm With Green Striping, Black by SKS-Germany at Joes V Cycle. MPN: 11435. Hurry! Limited time offer. Offer valid only while supplies last. The ski blue Mel stingray fender set is awesome matte Black with striking colored pin striping and underside. Hardware is super cool blacked out. The ski blue Mel stingray fender set is awesome matte Black with striking colored pin striping and underside. Hardware is super cool blacked out. Stainless steel nuts and bolts. Fits tire size 700 x 28-38.